H&M, the low-cost clothing brand for those who still want to feel high-end, isn't picky when it comes to selecting a figure to sport its duds. 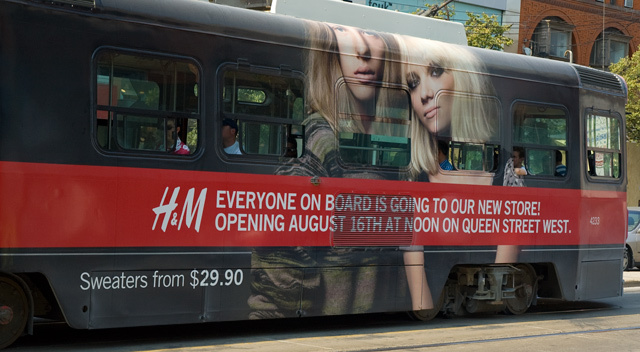 Toronto has become the apparently unhappy host to a set of buses entirely H&M'ed-out, featuring transparently peppy messages like "Everyone on board is going to our new store!" uh, that is a street car folks.